Let your customers use any channel they want and each interaction will look and feel the same for your agents. 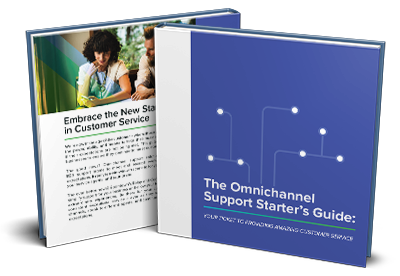 Omnichannel has become a buzzword in the world of support. But when we say omnichannel support, we truly mean it. Respond to any channel from the same conversation panel. Relay automatically responds to the last used channel unless told otherwise. 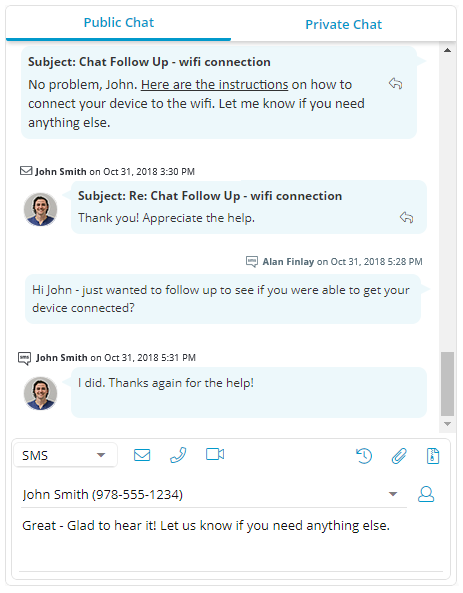 Move between channels with a single click for a true omnichannel support experience. 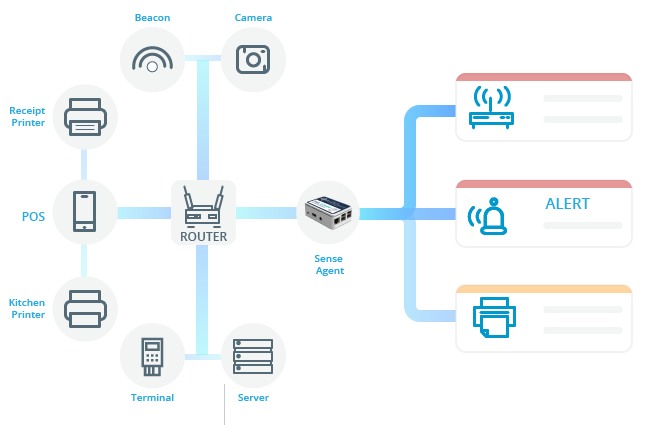 How Many Channels Is Omnichannel? The most powerful customer support channel also happens to be the most preferred by customers. Live chat provides the fastest and most consistent responses to customers. 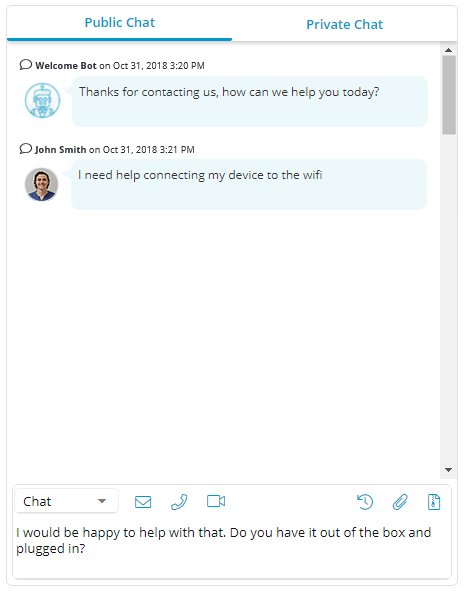 Provide your customers with chat on your website, from the mobile app, or embedded within your own application. 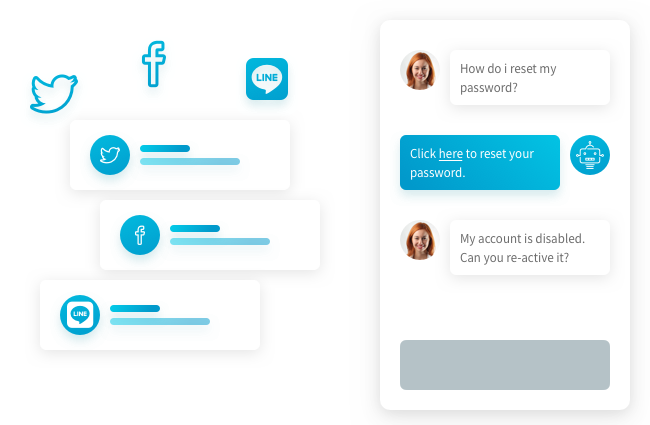 Relay’s chatbots live within chat for an exceptional digital self-service experience. Integrate any email with Relay to automatically convert each email into a trackable ticket. 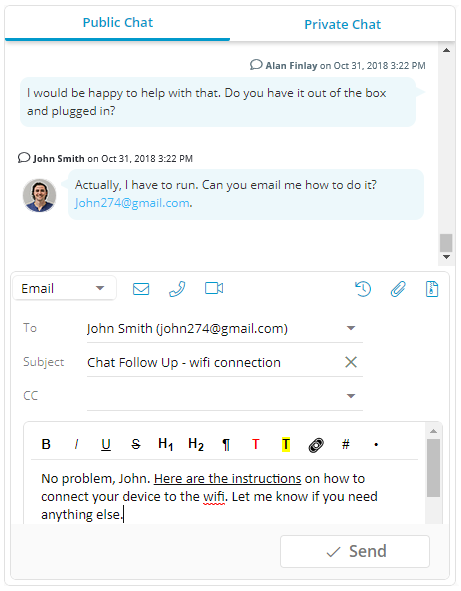 Responding to an email from Relay is as easy as replying to a chat. Customers often prefer to send a text message for quick questions or to be kept up to date on tickets. Use a short code (5 digits) or standard 10 digit number to receive and send SMS messages from Relay. For technology support, there’s no tool more powerful than video chat. Get eyes on the issue and immediately diagnose and begin troubleshooting without the guesswork. Video also creates a very personal customer experience through a face to face conversation. 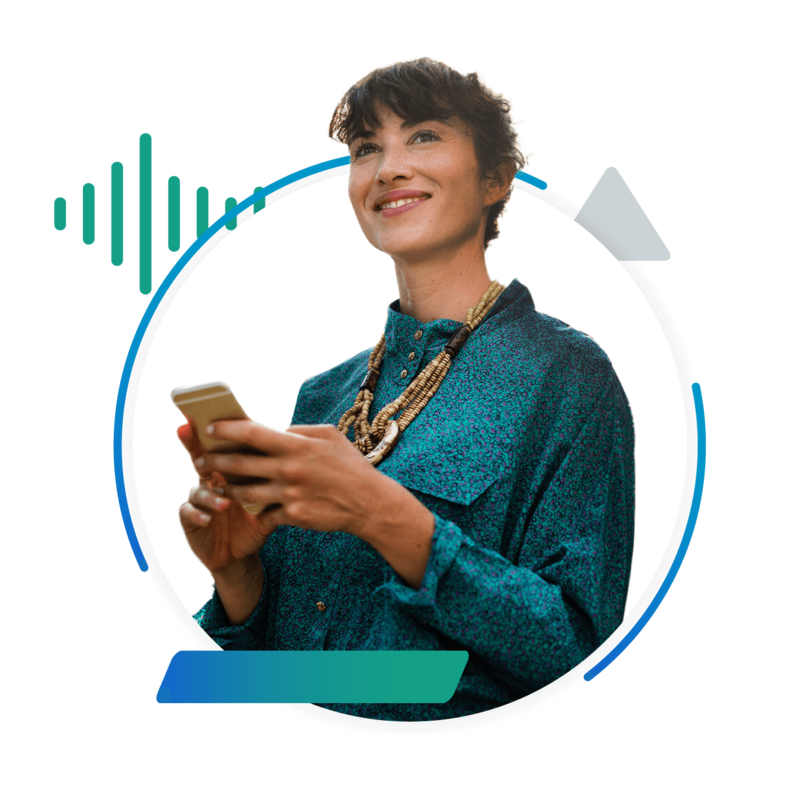 Every phone call identifies the customer based on the phone number or entered data and automatically creates a ticket and pops it open on the agent’s screen. Call times and recordings are captured on the ticket for easy oversight and additional context for your agents. Social platforms are becoming a standard way for customers to engage with companies that work with. Route inquiries from Facebook Messenger, Twitter, and Line directly to your inbox to treat them just like any other channel. 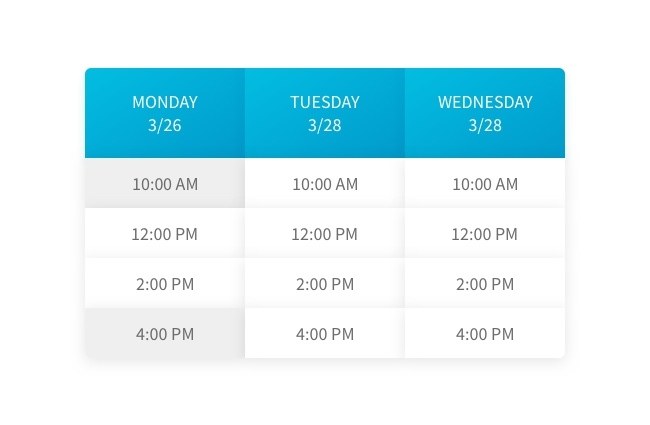 Let your customers reserve specific times with your agents based on the availability of their calendars to reduce constant back and forth. Scheduled tickets can be automatically assigned to an agent and added to their calendar. When the event is approaching, the agent will receive a notification. 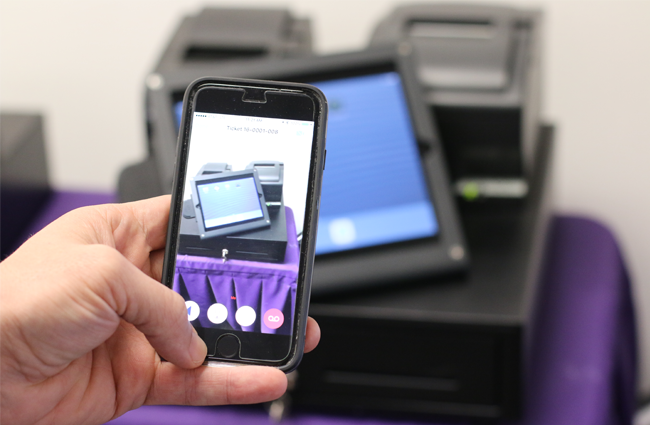 Last but not least is the ability to create tickets automatically when the technology or the network at your customer’s location goes offline. Create lifelong loyalty with your customers with predictive and proactive support. In our fast-paced, mobile-first world, today’s customers don’t have the same patience they did a few years ago. They expect to be able to ask you questions whenever they want, however they want, on any device they want. Learn how to keep up.